The course is 5000m (5K) long. The course is at ‘Free Fields’, North Road / Claverton Down Road (opposite Shaft Road), Bath. The course is run on a mixture of gravel and stone paths, compacted earth paths and grass. Some sections of the course may accumulate mud, leaves and puddles after rain. Dependent on availability, marshals will be at key sections of the course, or signs will be in place. We regret that, due to the woodland steps on the first loop, this course is not suitable for wheelchairs or runners with buggies. We hope these tips help to ensure that Bath Skyline parkrun is fun and safe for everyone. The run starts and finishes in ‘Free Fields’ approximately 100 metres from the North Road / Claverton Down Road entrance (opposite Shaft Road). The 5k course consists of a short clockwise loop of Klondyke Copse followed by a long anti-clockwise loop of Little Klondyke Copse. On leaving the start area you turn left to begin the first loop which is run on a mixture of gravel, stone and grass paths. This is largely flat but contains a short downhill section (which can be slippery in rain) and an uphill flight of approximately 30 woodland steps (which some runners will find demanding). As you approach the start/finish area at the end of the first loop you turn left into Fairy Wood to begin the second loop. This is flat and largely on gravel or stone paths, with two short sections on grass (where you should observe the public right of way). On completing the second loop you turn right to the finish area in ‘Free Fields’. Toilet facilities are available in the BMI Bath Clinic main building and the summerhouse. The run starts in ‘Free Fields’ approximately 100m from the site entrance on North Road / Claverton Down Road (opposite Shaft Road). Bus: Take Bus #2 from the Bus Station on Dorchester Street to The Hadley Arms at The Avenue in Combe Down. From there the site entrance is about a 6 minute walk east along North Road. Train:The nearest train station is Bath Spa. From there take Bus #1 from the adjoining Bus Station. The site entrance can be accessed from North Road / Claverton Down Road (opposite Shaft Road), or via the cycle path from Quarry Farm off Widcombe Hill / Claverton Down Road (close to Bath University). Limited free parking is available at the BMI Bath Clinic. Please use the Visitors Parking area on the left as you enter. From the M4 motorway: Exit at J18 and take A46 towards Bath. At the A46/A4 junction, follow signs for A4 West towards Bath. After 1 mile, turn left at traffic lights onto A36 towards the City Centre. 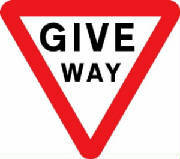 Follow A36 signs to Bristol and turn left at the first roundabout onto Bathwick Hill. Continue onto Claverton Down Road passing Bath University on your left. Bear right at a mini roundabout - continue past Ralph Allen School on the left and the BMI Bath Clinic is immediately after on the right. From the city centre: Follow the instructions above from Bathwick Hill. From Chippenham: Take the A4 and follow the instructions above from the A46/A4 junction. Every week we grab a post parkrun coffee in the Combe Grove Manor hotel. Please park in the top car park and walk down the two sets of steps to the hotel - please come and join us!